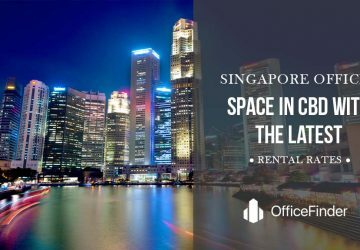 If you are on the lookout for an office space in Singapore, you’ll find you have quite a lot of options. 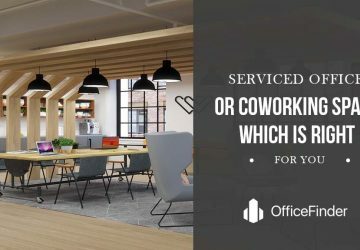 Whether you’re looking to rent just one office unit or multiple levels of office space, you’ll likely be searching for what’s known as a Grade A Office. But what does that mean exactly? 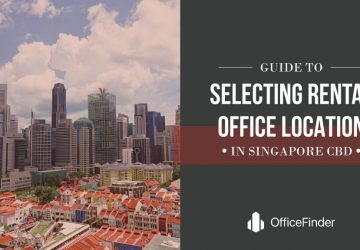 This article will help you learn what is a Grade A office in Singapore, how to identify one, and some other aspects you need to consider. 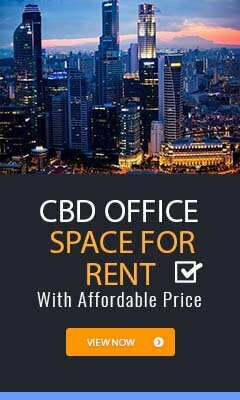 A Grade A office in Singapore is basically an office space in newly constructed or refurbished office buildings located in the central Business District (CBD) of Singapore. But not all refurbished and new office buildings in the Singapore CBD are Grade A office buildings. Grade A office buildings in Singapore are usually tall and bold with a large lobby and state-of-the-art security, and tenants will be provided with an underground parking facility and sometimes with in-house access to a food court, childcare, fitness centre and other amenities. These buildings are professionally managed with tenants of MNCs and large corporations carefully selected. The office spaces in Grade A office buildings are oversized with large windows, raised floor system, premium floor to ceiling height and wide columns or sometimes even column free. These building also feature the highest quality tenants and are a notch above Grade B buildings, which are generally older and lack the amenities Grade A offices provide. 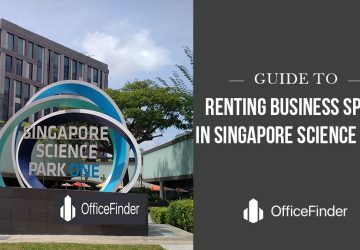 In addition, Grade A office buildings are most commonly found in the Singapore CBD where most MNCs and large corporations are housed. They are also available in locations like Beach Road and Marina Centre. 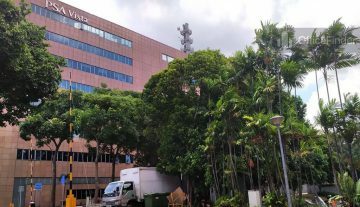 In recent years, the Singapore government has launched its land use plan to decentralize commercial activities outside the Singapore CBD to ease traffic congestion, meaning new Grade A office buildings are now available in the Jurong Lake District, Bouna Vista, and Paya Lebar. Still not sure about the differences between grade A, grade B and grade C office buildings? What about the rental rates of each building? To better understand the complexities of the office space rental process and the space available let us recommend an office real estate agent to assist you. 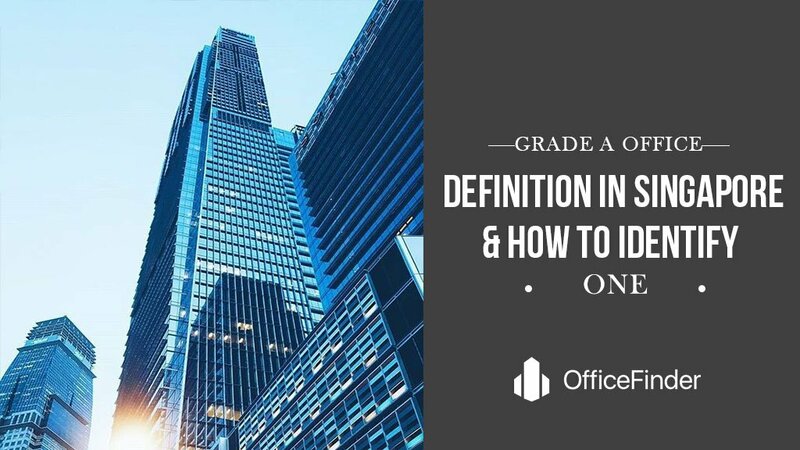 Although there is no standard formula to determine the grading of each office building, there are certain criteria a MNC tenant will usually have in their list when looking for a Grade A office to house their head office. Such requirements combining the location are good references in identifying a Grade A office. 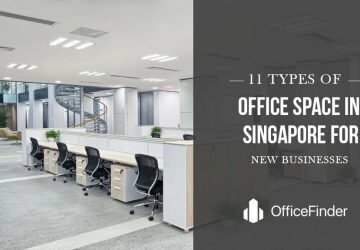 From the many lists of requirements for a Grade A office contributed by MNCs, we have define 7 key attributes of Grade A office in Singapore. This list can be served as a reference list to those who are searching for Grade A office space for their organisation. In real estate, the key factor that determines a piece of good property is always the location. This has never changed and it is also the fundamental requirement of a Grade A office space. 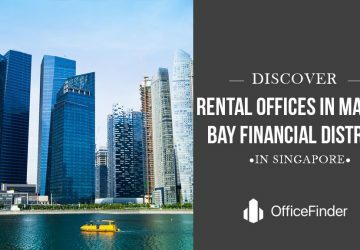 The premier location for office space in Singapore is the Singapore CBD and the most prestigious business address within the CBD would be the new Marina Bay financial district and the conventional financial hub at Raffles Place. Apart from this, there are locations outside the Singapore CBD that are sought after by MNCs when searching for a Grade A office space. 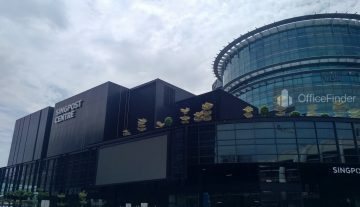 These include Marina Centre, HarbourFront, Alexandra Road, Beach Road, Bouna Vista, Jurong East and the new Paya Lebar commercial district. 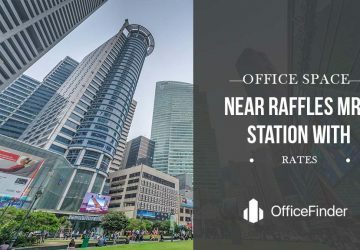 When walking around the Singapore CBD looking at the tens and hundreds of office buildings surrounding you, it might be daunting for one to tell which are the Grade A office buildings. In Singapore, most if not all the Grade A office buildings are skyscrapers. So, the height of a building is one way to determine a Grade A office building. These buildings are usually easily visible, new constructed and ecstatically appeal with modern glass curtain walls façade exuding the kind of professional elegant a MNC tenant requires. 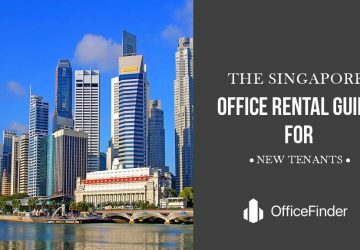 However, not all Grade A office buildings in Singapore are new, there are refurbished, well managed and maintained office buildings in the prime locations that are in the Grade A list. An impressive lobby is a must for a Grade A office building. Sheltered drop off area, full glass doors, premium floor to ceiling height, marble floors and walls, concierge or security counter and building access control security system are some of the distinctive features you can find in the main lobby of Grade A office buildings in Singapore. 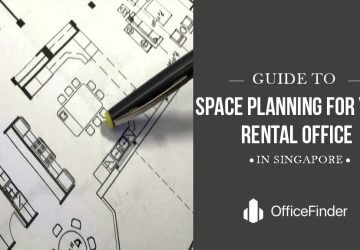 Since Grade A office buildings are generally occupied by MNCs and large corporations who require a lot of space, floor plates are usually 10,000 square feet or more, but they can be as large as 30,000 square feet per floor in Singapore CBD. You’ll be hard-pressed to find a single office unit of less than 2,000 square feet in a Grade A office building. An alternative to overcome this is to rent a private office space from a serviced office operator in the desired Grade A building. Most Grade A office space will come with raised floor system to accommodate the underfloor trunking and cable system. Large glass windows will be found in this office space that let in plenty of natural light and offer great views of the surroundings. Ceilings will be high with at least 2.8 meters between the floor and suspended ceiling. To make the best use of the space and give as much room as possible, you’ll notice that wide columns will be used, or potentially no columns at all—so there is plenty of free, open flooring with room to lay it out however you which. In order to distinguish itself from other lower grade buildings and maintaining the image as a Grade A office building, landlord or the buildings management of these buildings have stringent requirements on tenant selection and control. Landlords will usually only accept companies who are interested in renting for the long-term and who have already been established in their industry as a major player. One way to determine a Grade A office building is to check out the tenant directory at the main lobby. As Grade A office buildings are usually tall and large in floor plate, it will accommodate a lot more office workers than buildings of other grading. This makes good sense for the building owners to integrate amenities within the building to serve the needs of its tenants and office crowd. This is also one aspect that set these building apart from the rest. Here are 8 in-house amenities you can find in most Grade A office buildings in Singapore. A basement or multilevel car-parking facility is usually make available for its tenants and corporate guests. Large organizations usually have corporate events from time to time that require a sizeable conference or meeting room to accommodate the large number of guests and participants. An in-house food court enables office workers to quickly access to food during their lunch break without leaving the building. A well-managed fitness center within the building provides office workers healthy work-live balance and eventually better productivity. Outdoor space like sky-garden with lush greenery is a great place for office workers to recharge and network with other business associates. Office workers are more health conscious than before. More companies are organizing group jogging session around the building after office hour. With the Singapore government promoting car free and healthy lifestyle, more office workers in the CBD are riding their bicycle to work. Shower facility in office buildings has become a necessity for most building nowadays. Bicycle parking facility has been integrated to most new Grade A office buildings. As more businesses, especially the MNCs and larger organisations are seeking office space that are environmental friendly, most Grade A office buildings in Singapore are with sustainable design and construction. These buildings are integrated with green features and Greenmark certified by the Singapore Building & Construction Authority. 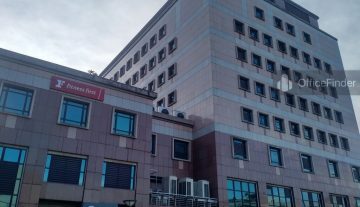 Apart from the 7 key attributes listed above, most Grade A office buildings also offer high speed internet connection, high speed elevator and handicap friendly features. Watch this video for a good example of a grade A office in Singapore. Click to get a professional office real estate agent to assist in the search. There is no service fee payable by you as a tenant.